Environmental site assessments (ESA) are one of the most common services our consultants are called upon to perform and indeed this assessment plays a crucial role in identifying the contamination levels of a particular site and developing an effective management solution. In this article, we look at the inns and outs of an ESA. 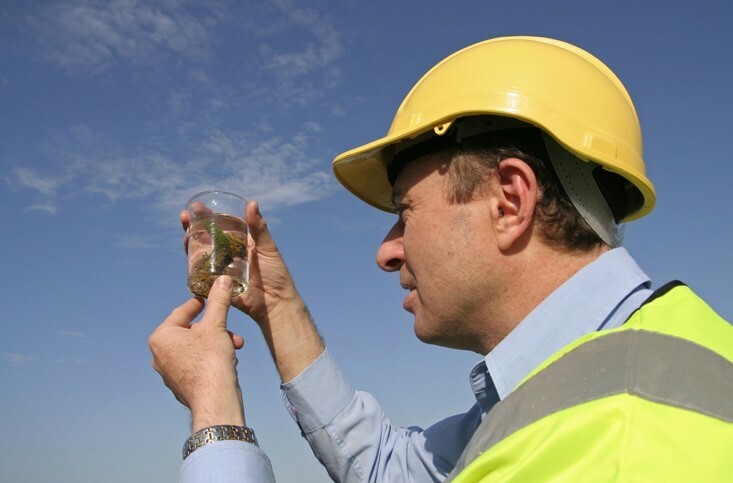 An Environmental Site Assessment is a study of the past and present activities on a site to determine the likelihood of contamination and what effects that contamination might have on both humans and the environment. Phase 1: Known as a preliminary environmental site assessment, phase 1 is often called a ‘desktop study’ where all the currently available site information is reviewed to determine whether or not contamination is likely. Information which is commonly reviewed in this phase include the site history, the environmental setting, the previous and current activities on the site, the site drainage and what the land in the immediate locality of the site is used for. The presence of underground storage tanks, surface staining, and chemical stores is also looked into. Phase 2: Known as a detailed environmental site assessment, phase 2 involves actively testing for the presence of contaminants and determining both their concentration and distribution. Testing during this phase could include soil and groundwater assessments, and an an appraisal of the risk posed to humans and the environment. Phase 3: This encompasses the remediation of a site based on the evidence uncovered in the previous phases. A phase 3 site assessment may include further testing, sampling and monitoring to determine what types of remediation are required, feasibility studies for remediation, and an assessment of the available clean-up methods, logistics and costs of remediation. Who sets the guidelines for these assessments? An ESA must conform with Victorian state legislation, policies, Australian Standards and EPA guidelines. Guidelines for the ESA are set out by EPA Victoria. Only auditors appointed under section 53S of the Environmental Protection Act 1970 are qualified to perform environmental audits and issue certificates or statements. An environmental site assessment is required in instances where the planning scheme on land which was previously a storage site for hazardous chemicals or industrial activities, is set to be amended to enable the construction of residences, a preschool, a primary school or a childcare centre. A planning authority can also request an audit to confirm the environmental condition of a site is suitable for its proposed use. The site owner or occupier can also request an audit as part of the commercial due diligence processes. The experienced environmental consultants in the Alpha Environmental team are capable of performing phase 1,2 and 3 environmental site assessment services. To learn more about having your site assessed, please don’t hesitate to get in touch with us by calling (03) 9415 8002.